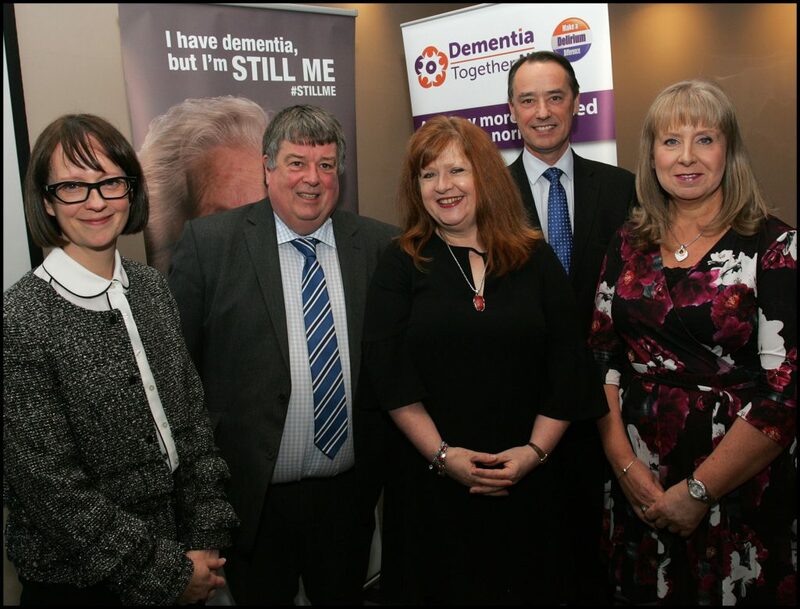 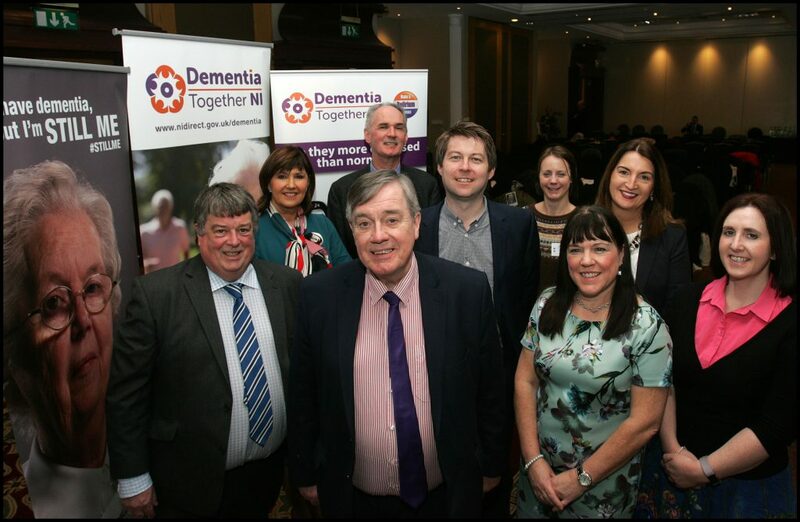 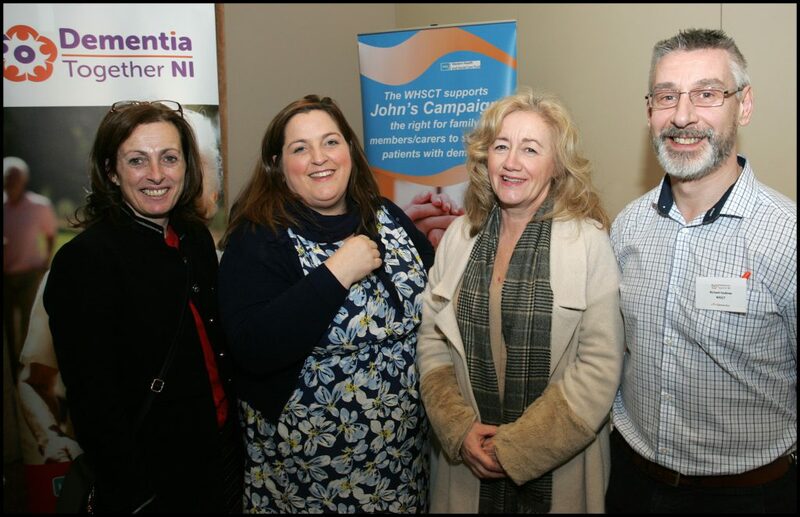 Video and photos from our recent celebration event, organised by the Dementia Together NI Partnership to share learning about dementia initiatives developed to raise awareness and address the stigma surrounding dementia. 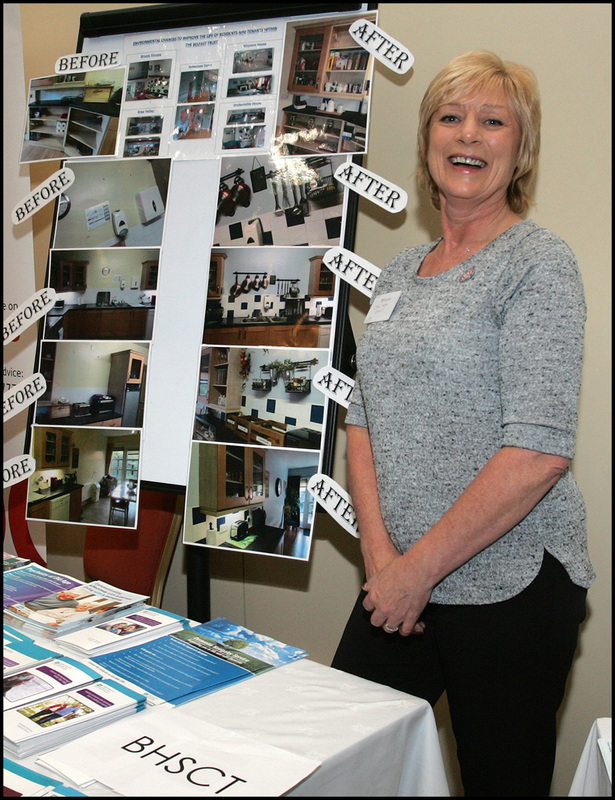 Click on the photo for a larger view. 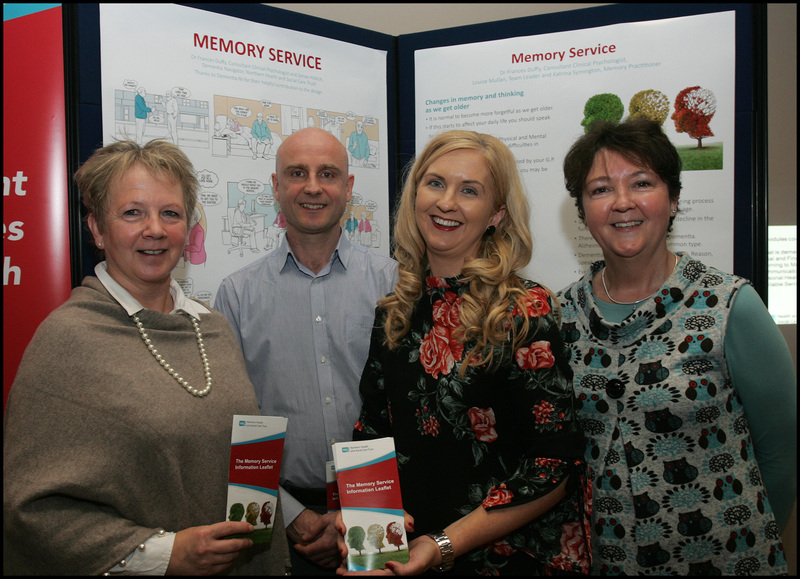 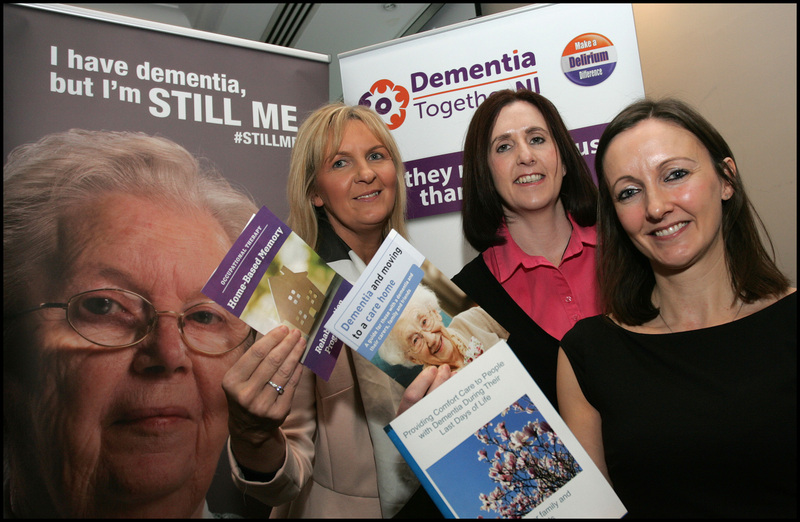 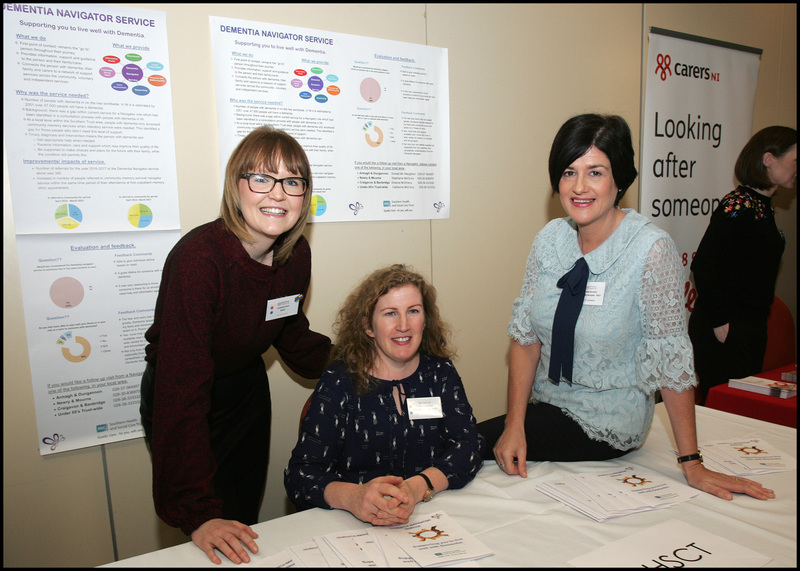 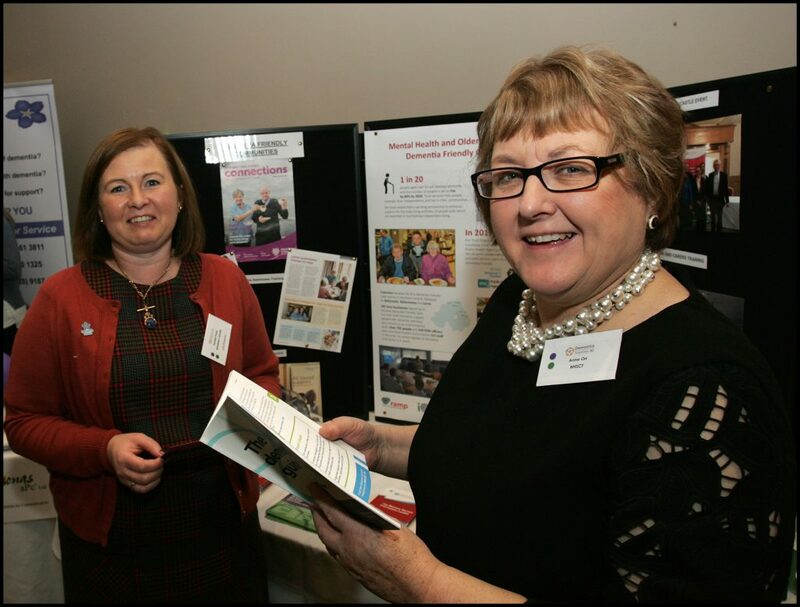 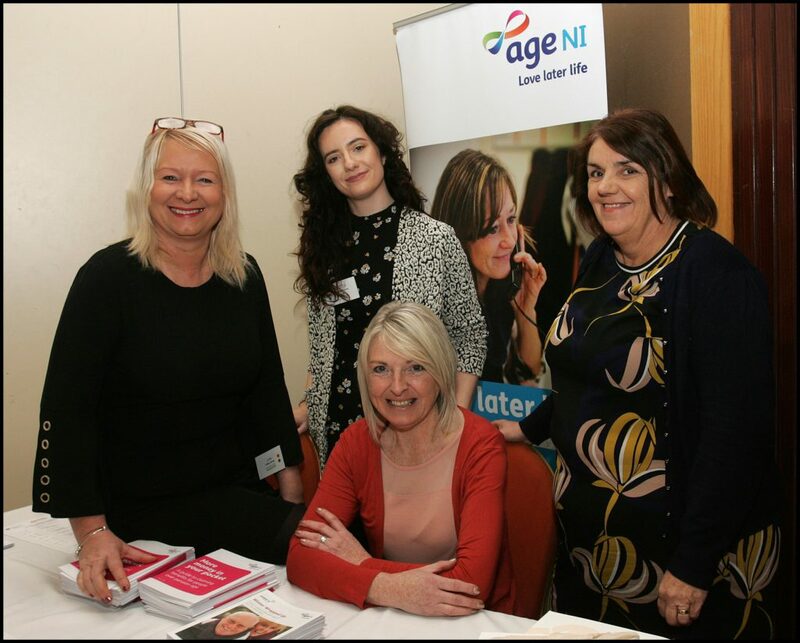 Launching their new dementia information guides, at the Dementia Together NI Celebration Event held on 30 November 2017, are from left to right: Geraldine Teague, Public Health Agency, Sarah Penney, Ulster University and Dr Gillian Carter, Queen’s University Belfast (absent is Professor Brian Taylor who developed the ‘Talking About Risk and Dementia’ Guide). 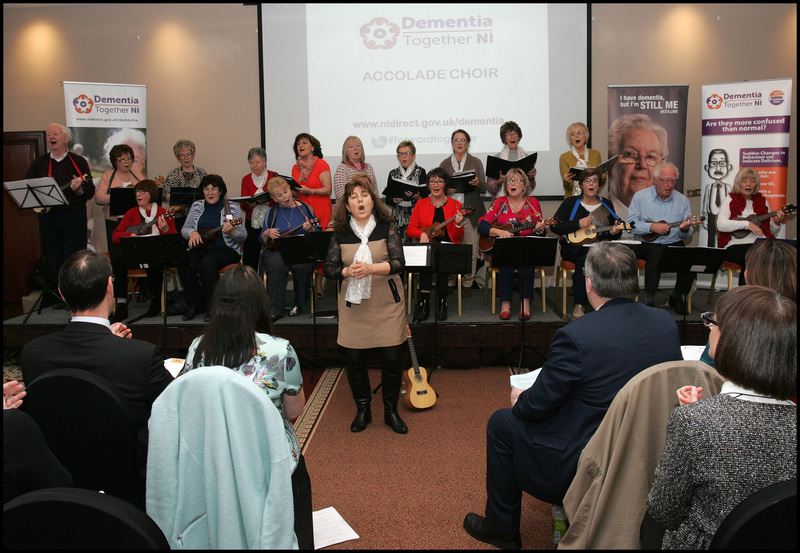 Accolade Community Choir kick off proceedings under the direction of Musical Directors, Vessie Ivanova and Nikolay Ivanov. 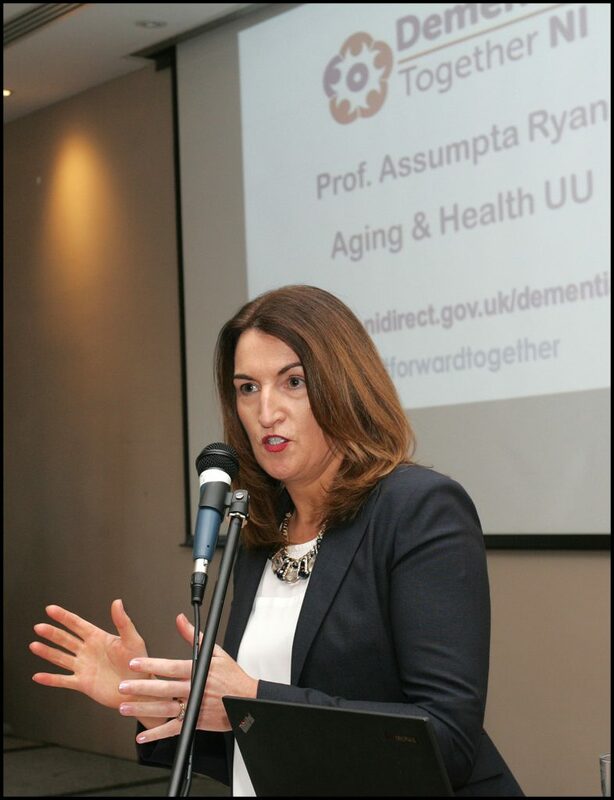 Assumpta Ryan, Professor of Ageing and Health at Ulster University, delivers the opening address at the DTNI event. 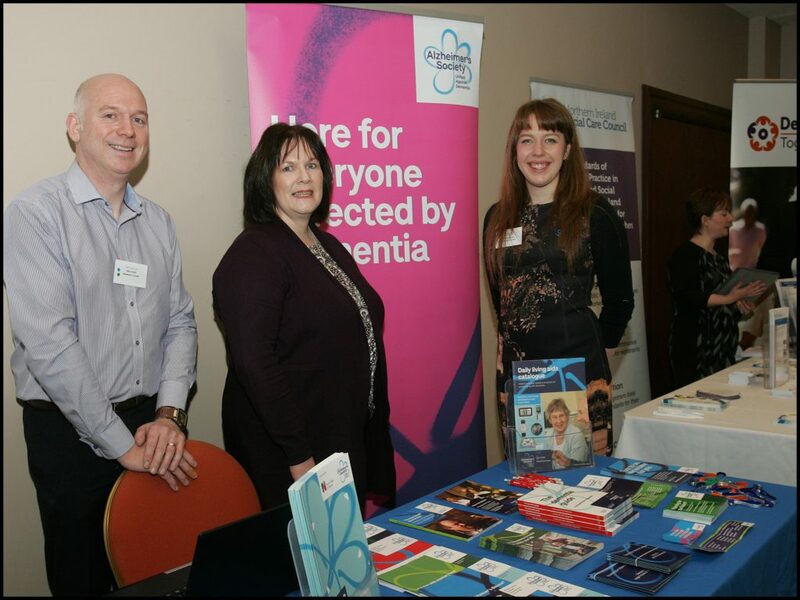 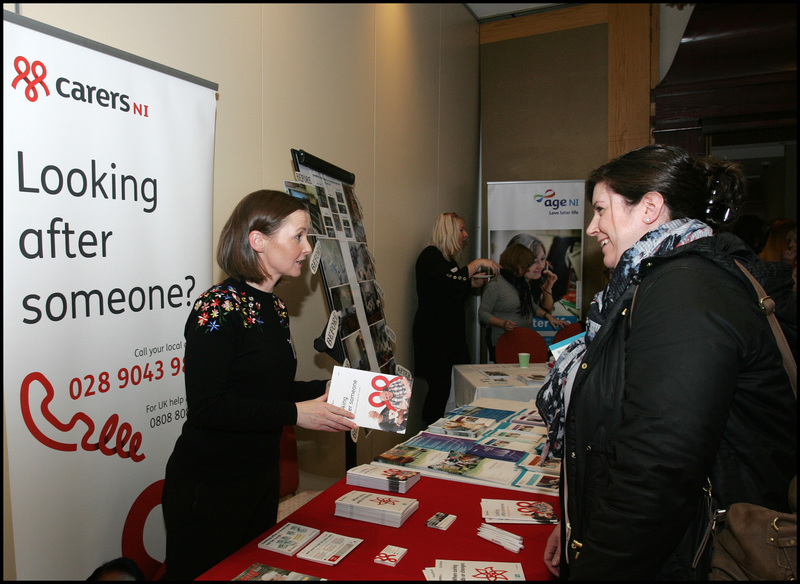 Claire Anne Magee from Carers NI sharing useful information for carers at the Dementia Together celebration event. 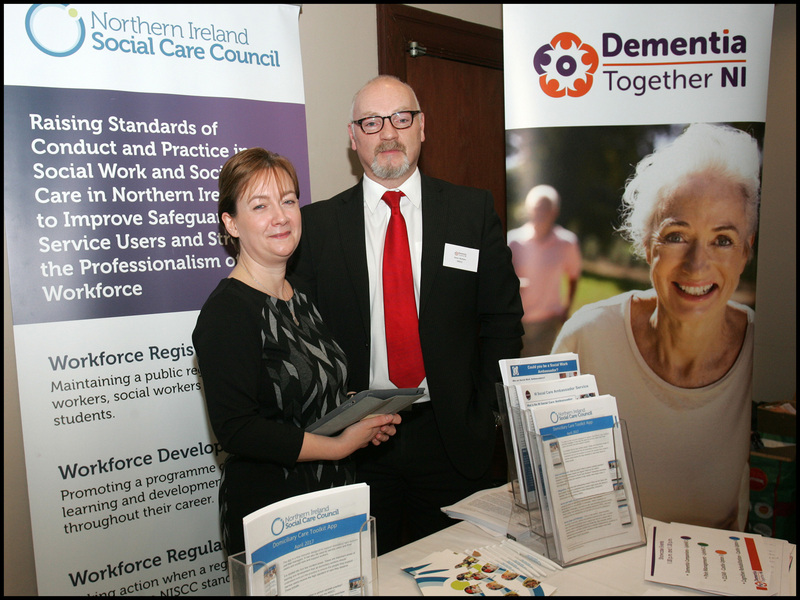 Providing information on Dementia Services from Belfast Health and Social Care Trust is Jean Kerr. Jean was a Dementia Champion graduate from cohort 2 in April 2017. 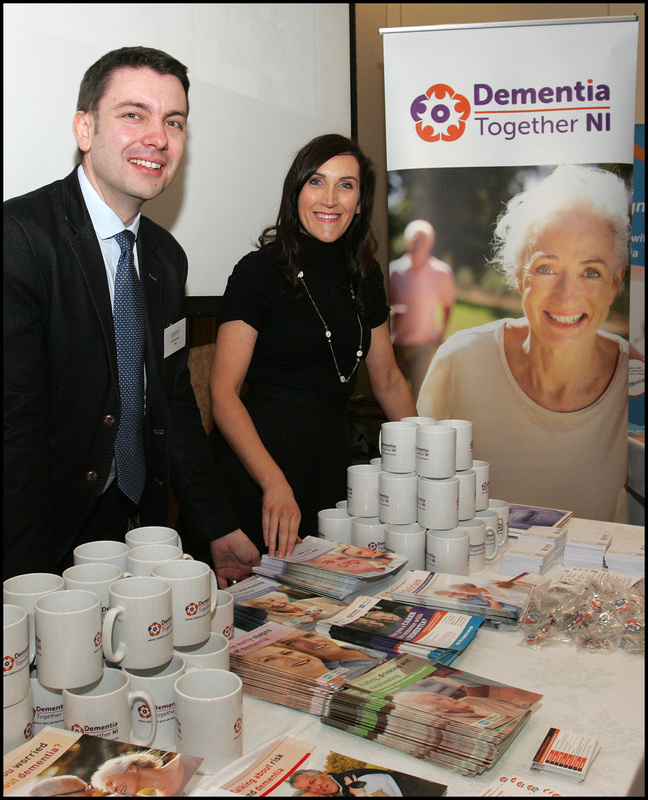 Martin McCrory and Nichola Cullen from the Dementia Together NI team providing information and resources about the project at the event. 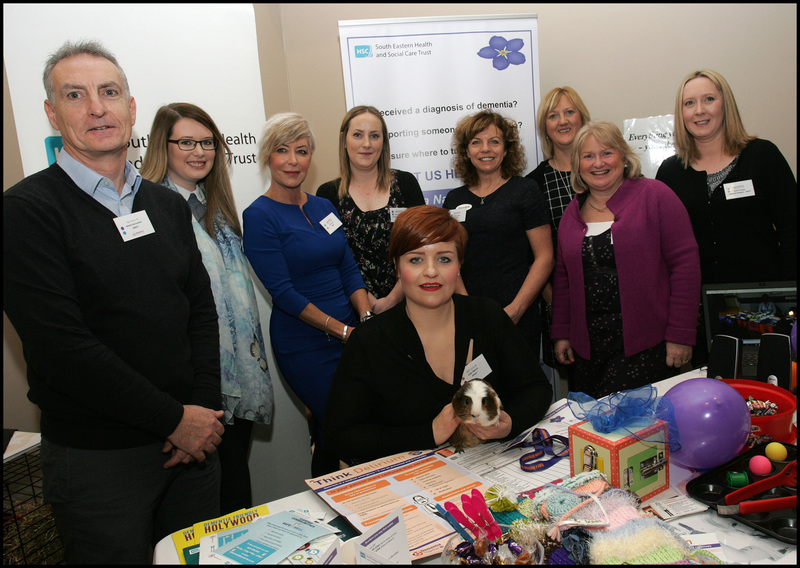 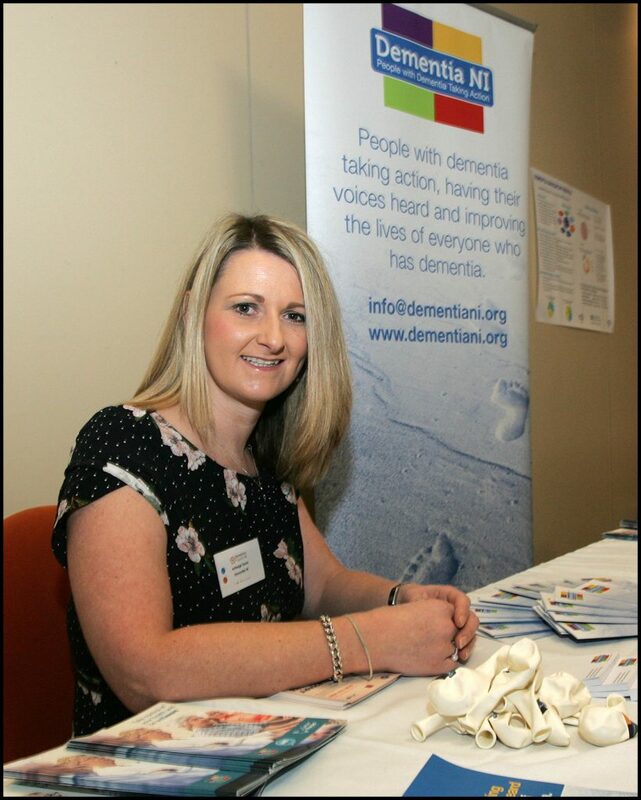 Ashleigh Davies, Empowerment Officer pictured at the Dementia NI information point.